As of July 2015 there is one main scheme that you may be eligible for, the ECO scheme. The poorly performing Green Deal and the related popular Green Deal Home Improvement Fund were dropped by the new government after the May 2015 General Election and we have yet to see what if anything will replace them. Under the “Affordable Warmth Obligation” of this scheme, the big six energy suppliers along with three other suppliers are required to support vulnerable and low income households on heating and insulation by giving new boiler grants along with grants for insulation. The free boiler element of this scheme falls under the Home Heating Cost Reduction Obligation (HHCRO). As of August 2014 this part of the ECO had achieved 97% of its target (which has to be complete by March 2015). This specific scheme is available for most domestic properties excluding social housing tenants. or is in receipt of a qualifying component. is in receipt of a qualifying component. or is in receipt of personal independence payment. You can call your energy supplier for advice if you think you qualify. I give my property to the council who houses tenants who need emergency accommodation for about 3 months at a time. My combination boiler although is old, is serviced and checked annually and passes the gas safety test. The flue outside emits the usual fumes but the wind carries it above towards the one of the tenant’s bedroom windows and now the tenant is complaining. A recent gas engineer visit said that there was nothing wrong but if I wanted, I could get a condensing boiler. I’m not keen to spend money when nothing is wrong. The property has a mega flow system and 5 ensuite bathrooms if that helps. Are the fumes harmful? Should I get a condensing boiler? Hi my boiler is broke , my husband receives personal independent payment as he is very unwell , will we qualify for a boiler grant ? Give your energy supplier a call to see if you qualify for the ECO scheme. Alternatively you can use a service such as boilergrants.info. Hi, Have been in contact and awaiting contact from supplier. We have a emersion heater which is just heating just 2 taps. Have electric shower cubicle instead of bath. at emersion location have gas, water, electricity all there so would love a combi boiler for said 2 taps and maybe central heating whenever. Not a massive job to change but no-one seems interested. we are pensioners and recieve pension credits. Heeeelllpppp. Getting a new combi boiler installed should be very easy; there are a number of installers who would be only to happy to help set up the system as you describe. The challenge will be to find a grant to subsidise the installation. I would check with your energy supplier to see what options they have available. Most of the grants are to take older non-condensing boilers out of circulation and replace them with more energy efficient condensing ones. Since you don’t have a boiler to star with this excludes you from some schemes. If the energy companies can’t help I would check out the boilergrants.info service on this page. am being charged additional £700 towards Eco boilers scheme. The company will install Worcester combi boiler, is this right? I would appreciate if you could reply me asap. Generally the ECO scheme is for a like for like replacement in the same position. Is your old boiler also a combi boiler and is it being installed in the same place as the old? If not then you could be charged for the additional work on adapting the system pipework, removing an old hot water cylinder etc. We are moving into a property with storage heaters and hot water tank in bathroom, but that is connected to mains gas. We earn under 15k between us, would we be eligible for the free boiler scheme or part funding? Thanks. There isn’t a national scheme to cover this but it may be worth contacting the Energy Saving Trust as there may be a specific scheme local to your area that may help. I applied for a free boiler from one of the energy companies. They have been and done all the surveys and they said I qualify. I asked about replacing our Gravity fed boilers with a combi boiler as we hardly use the water in the tank (electric shower). They said no, it has to be a like for like replacement. Is this true? I said I was willing to pay the difference as it would save us money in the long run. It doesn’t have to be a like for like replacement but if there is additional work to do to remove the old system and make pipework adjustments then you could well be asked for an additional contribution as the ECO grant will not cover all the work. The scheme is intended to upgrade inefficient non-condensing boilers to condensing ones. I am slightly surprised that they haven’t offered you a combi with additional charges. It may be worth getting other quotes. 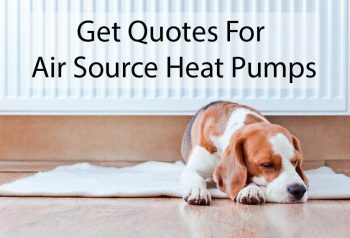 It may be worth trying the quote service at boilergrants.info. We don’t recommend specific boilers. Different installers will all have their own favourites but often it’s down to their familiarity with installing a specific boiler and their experience of the service backup. Hi There hope you can help as I don’t know where to start. My boiler is 23+ years old I have two children and my husband and I own our property our boiler is on the verge of breaking down and we do not have the funds to replace. Our joint income is around £27,000 per year and we receive child tax credit. Are there any sorts of help available to us, grants etc to help us install a new combi boiler? Thanks for the question. The only official scheme I know about currently (August 2015) is the ECO scheme which you wouldn’t qualify for as it only covers incomes below £15,860. The Department of Energy and Climate Change dropped all the Green Deal options in July 2015 and have not as yet replaced them with anything else. It is anyone’s guess whether they will launch any other schemes in the next few months. There are offers from installers which allow you to pay for installations per month rather than as a one off charge. Some of these are fair value and others are effectively charging you quite high interest for borrowing the money. That said if your boiler is 23+ years old then it is probably not as efficient as a modern combi boiler so you could well be saving £200-£300 per year on your gas bills (assuming you are on mains gas). 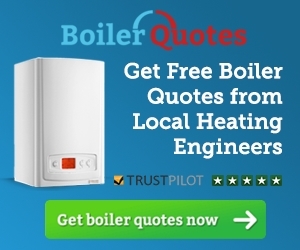 The affiliate link on this page to boilergrants.info allows you to check eligibility for ECO but on the same form they do also offer installers who offer quotes with monthly payment options. It may be worth checking this out. Bear in mind that you are not obliged to take up any of the offers if you don’t think they are fair value. The cheapest way is generally to pay the full value at installation but I appreciate this is not always possible. My partner and I own our home and together earn just over the £40k threshold but certainly do not have any money to replace our 20+ year old boiler! The boiler is making some very odd noises of late and I wonder because we are not in receipt of any benefits can we qualify for any boiler replacement scheme or part funding? If so where is the best place to apply or which company would be best suited to getting our claim through? In the build up to the May 2015 General Election any new developments on grant schemes were put on hold. However the most recent Green Deal Home Improvement Fund described on this page is still active for replacing old boilers as long as you complete one other energy-saving home improvement as well. See https://www.gov.uk/green-deal-energy-saving-measures/get-money-back-from-the-green-deal-home-improvement-fund for full details. As of 23 July 2015 the Green Deal and Green Deal Home Improvement Fund were closed to new applicants. We have yet to hear what if anything will replace them. I have applied for a grant on one of these schemes to help with boiler costs. The quote I have for a combination condensing boiler is £4260 including VAT, this seems very expensive to me after researching? My contribution being 25% of this. The cost also includes installation of new boiler plug, installation of room thermostat, installation of magnetic scale reducer and installation of magma lean. The first thing to say is that it is important to get a number of quotes from Gas Safe installers. Each may see the job slightly differently and come up with a slightly different solution. I would certainly get three competitive quotes for this work and ask them to explain what work needs doing. Just because one installation company says you are eligible for a grant does not mean you have to go with them – it is generally the energy supplier who offers these schemes not the installation company so most Gas Safe registered installers will be happy and able to help you. You don’t say what is being replaced or how old the current system is – i.e. is it a like-for-like combi boiler being replaced in an identical position? If it is not then there could be additional work to be done i.e. removing an old water cylinder and replacing pipework. Even if it is like-for-like on an old system the gas supply pipe may need to be upgraded, the old flue replaced, TRV’s (Thermostatic Radiator Valves) added to radiators, a condensate pipe installed. It sounds as if some of the electrics need to be upgraded. All of these are potentially sensible things to do and they will all add cost. See Boiler Upgrades Explained for more details. You should certainly go through the detail of what the work involves with the installer and ask him to break down the costs. Hope this helps. I would be interested to hear how you get on. Boiler grants are still available via ECO Scheme. There should also be more funding available soon as we move in to ECO2, which is the second phase of the scheme.